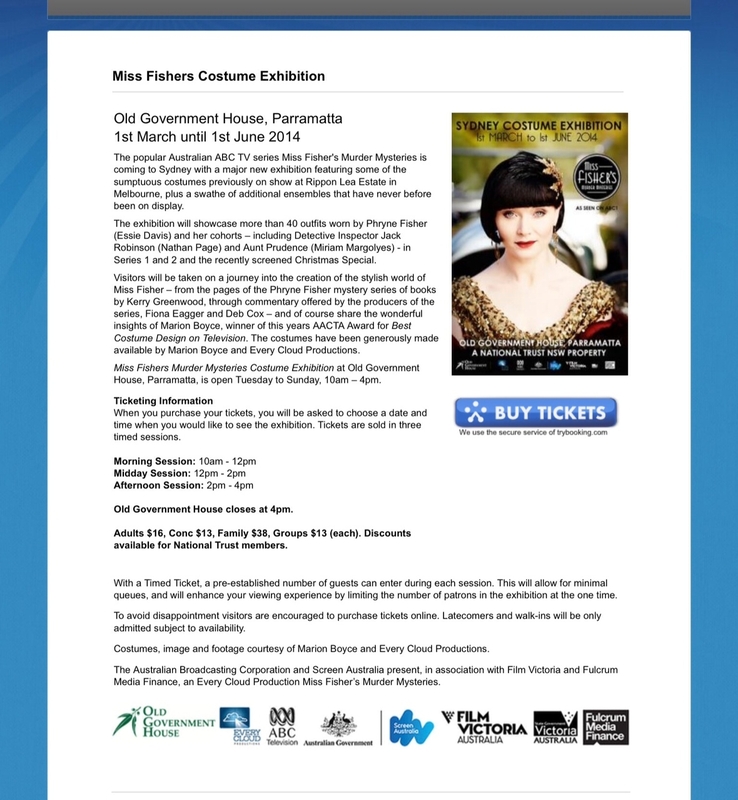 Miss Phryne Fisher | Eastwood Patchwork Quilters Inc.
For those of you who love Miss Phryne from the ABC TV show, Miss Fisher’s Murder Mysteries, and her stunning costumes you won’t want to miss this exhibition coming to Parramatta Old Government House from the first of next month for three months. How lucky we are to be able to view this exhibition so close to home. This entry was posted in exhibition and tagged costume exhibition, Miss Fisher Murder Mysteries, Old Government House, Phryne Fisher by eastwoodpatchworkquilters. Bookmark the permalink.